1994. The birth of the concept of the creative team. 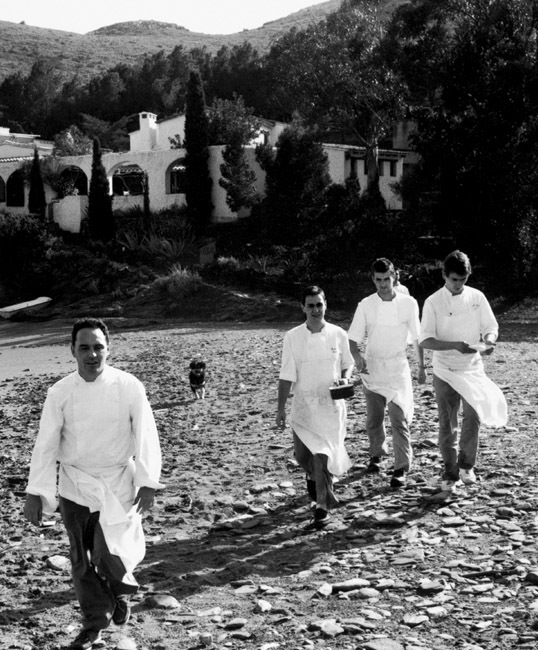 Although we had already experimented with the possibility of creating without thinking of serving meals in the restaurant in Xavier Medina Campeny’s workshop in 1992, it was not until 1994 that we thought of forming a team devoted to creativity, which adopted the name of the development squad. This was in response to the need to professionalise the creative process. 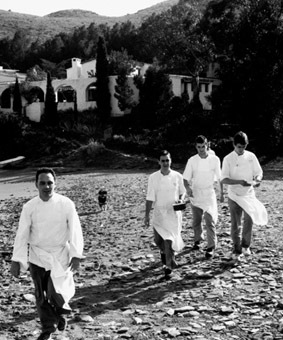 In elBulli we began to set a standard that called for a daily dedication to creativity, since there was now a clear purpose: to generate new concepts and techniques. At that time, for financial reasons, we had to combine the work of the development squad with our daily functioning, and so after the lunchtime session, or even in snatched moments during the mise en place, we developed ideas that were later to become dishes. Ferran Adrià with Bixente Arrieta, Àlvaro Martínez and Andoni Adúriz, members of the creative team.